Over the weekend we enjoyed a picnic on our new porch. It’s lovely and wonderful and we can’t wait until it’s completed. 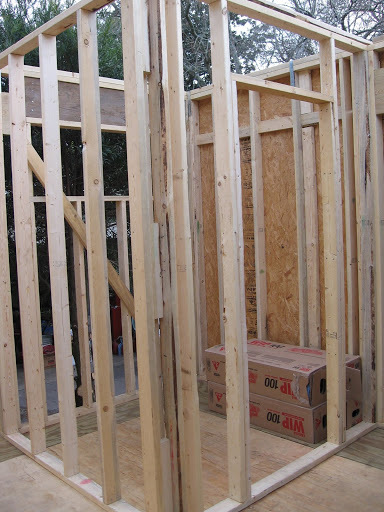 More framing was done today – above is a picture of our new walk-in closet. 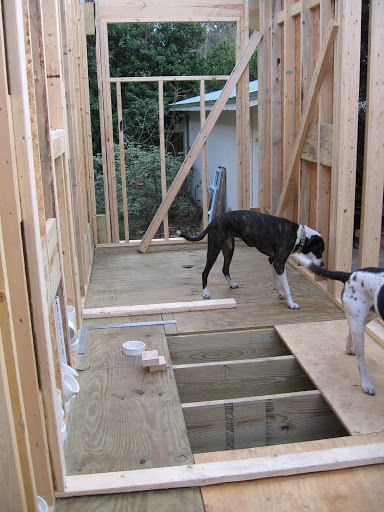 Below Sydney and Boxer are checking out the new bathroom. Bad news: looks like the sink we picked out may be too wide – so we have two options -choose a smaller sink or Mr. Contractor will move our wall out about six inches. Ain’t he the sweetest?! Tonight I’ll search for a replacement, but if I don’t find one then the wall will come out a little bit. My other homework due Wednesday is to get the specs for the new washer and dryer so he can build our utility closet with the correct dimensions. Note that the utitlity closet is something we added recently and wasn’t in the plans. 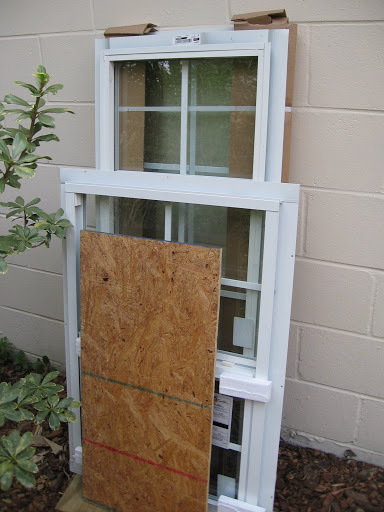 We’re going to have a transom window in the bathroom and closet – we wanted it for more light and to break up the lines of siding from the outside. Today, I jokingly asked Mr. Contractor if he would be finished in 6 weeks. He smiled. But I got the feeling he was optimistic about it. Keeping all fingers crossed. So far, we’re really happy with him, Adam and Doug and all they’re doing. 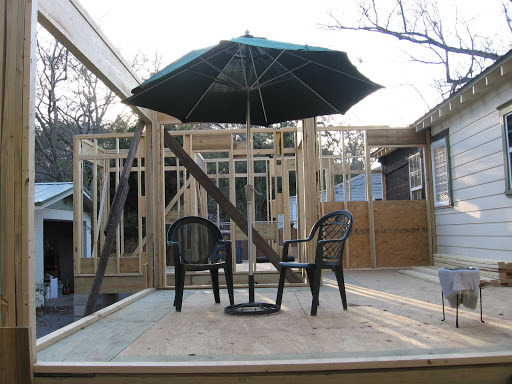 Previous Article Framing Has Begun!